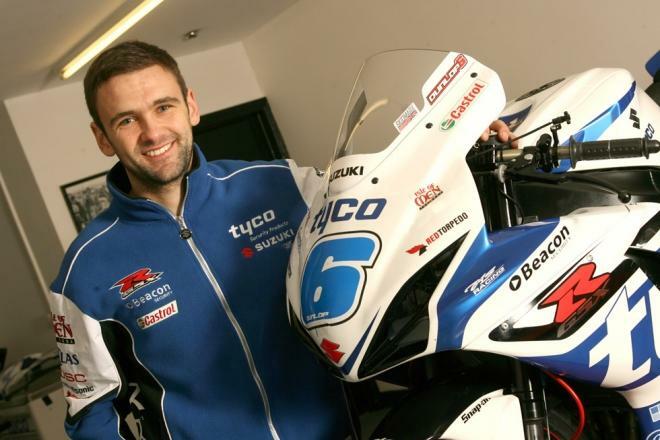 TYCO Suzuki have confirmed that they have signed Ballymoney rider William Dunlop for the 2014 road racing season. The 28-year-old will contest the North West 200, Isle of Man TT and the Ulster Grand Prix next season alongside Lincolnshire’s Guy Martin as well as a selection of other national road races including the Southern 100 in July. “Now that I have it all signed off I’m pretty excited to be honest. I know how fast the Tyco Suzuki GSX-R600 is having followed Guy Martin this year at the Southern 100 and his results on the Superbike at the Ulster Grand Prix speak for themselves," said Dunlop. After a year with the Milwaukee Yamaha team, Dunlop makes the switch to the local Northern Ireland based team after achieving a 130mph lap on the Superbike as well as a podium position in the Supersport Race 1 at this year’s Isle of Man TT. Tyco Suzuki’s Team Manager Philip Neill concluded: “We are very pleased to complete our road racing line-up for 2014. It was a fairly last minute agreement with William, but one that we are delighted to announce, and our goal is now to help him achieve his first Isle of Man TT victory in 2014. As well as the three internationals, we will also compete in a number of national events with him next season.